OrthoConnecticut | Joseph DiGiovanni, M.D. 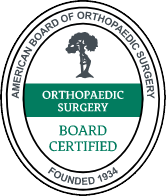 Dr. Joseph DiGiovanni has specialized in hand and upper extremity surgery for more than 12 years and is a member of the subspecialization team at the Hand Center at Danbury Orthopedics. In addition to concentrating on hand, elbow, and shoulder issues, Dr. DiGiovanni also specializes in pediatric hand and elbow surgery. He received his hand training at NYU Langone Hospital for Joint Diseases, where he obtained vast experience in complicated hand reconstruction. Chronic conditions and injuries treated by Dr. DiGiovanni include fractures, nerve problems (including carpal tunnel syndrome), cubital tunnel syndrome, tumors, arthritis, and tendinopathies (tennis elbow, golfer's elbow, and trigger finger). 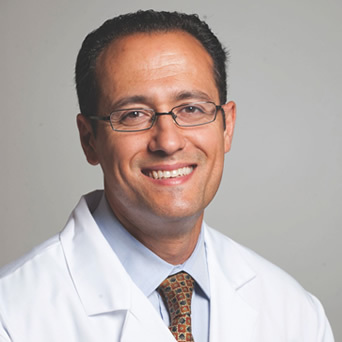 Dr. DiGiovanni has particular interest and expertise in treating wrist injuries and fractures, humeral fractures, tendon transfers for nerve palsies, and osteoarthritis of the hand and wrist arthroscopy. Injuries to the hand are unique because of the complex interplay between the bones, tendons, and nerves, and Dr. DiGiovanni's training makes him uniquely qualified to care for patients with these problems. DiGiovanni counts athletes, musicians, and injured workers with hand injuries specific to their career among the numerous patients he has treated.